Pamphlet full of original illustrations! 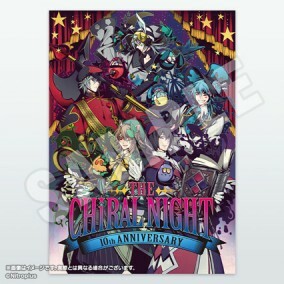 Conations the all-new character illustrations for THE CHiRAL NIGHT 10th ANNIVERSARY provided by Uiro Yamada and Yupon, as well as 10 pages of original content by Uiro Yamada and Yupon, Sinov Mimori, Seiji Onitsuka, and Honyalala found only in this pamphlet. Filled with comments from all the performers as well as character voice actors! A very special paper was used for the cover, giving that touch of elegance befitting this concert that covered 10 years of CHiRAL history. ・Limited time offer price of 2,600JPY ends (Tue) Dec. 20 at 12pm JST. First sold at THE CHiRAL NIGHT 10th ANNIVERSARY.